After weeks of uncertainty in the stock markets and a relief rally yesterday, investors now have fresh cause for concern. It seems the US bond markets are flashing fresh warning signs that the economy is about to take a turn for the worse. When the yields of the 10-year bonds go lower than the yield on the 2-year, it has in the past been a strong indicator that a recession is coming. Well, that hasn't quite happened yet, but we did get an inversion yesterday of the 3-year and the 5-year for the first time in a decade. Though the 3-5 spread is not as strong an indicator as the 2-10, it's still not a very good sign. In this graph, we can see that even though a 3-5 inversion doesn't always lead to an immediate recession, it can still be considered as an early indicator. This should come as no surprise to those who are reading these updates regularly. As we've been saying, just about every stock mogul and their brother have been predicting that we're nearing the end of the bull cycle. In the crypto market, we've seen a fair amount jostling for position among the top three assets by market cap. 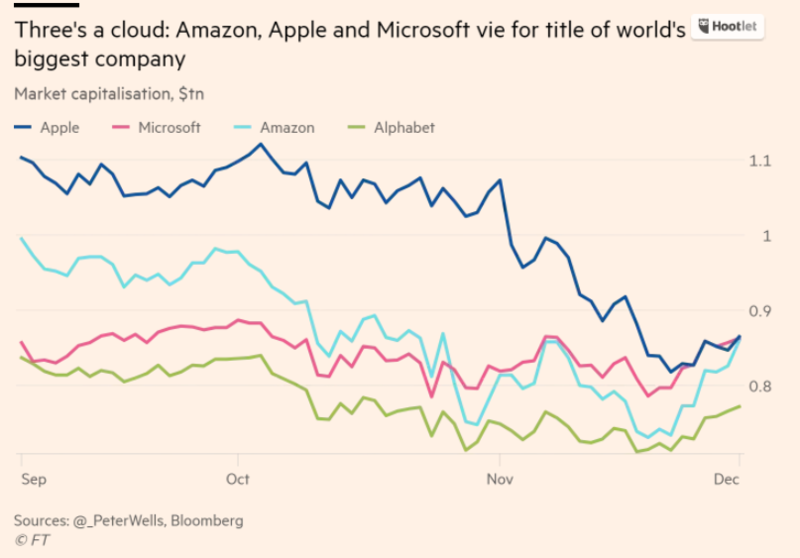 It seems a similar dynamic is now playing out in the stock market as Apple, Amazon, and Microsoft are in a close running for the top spot. 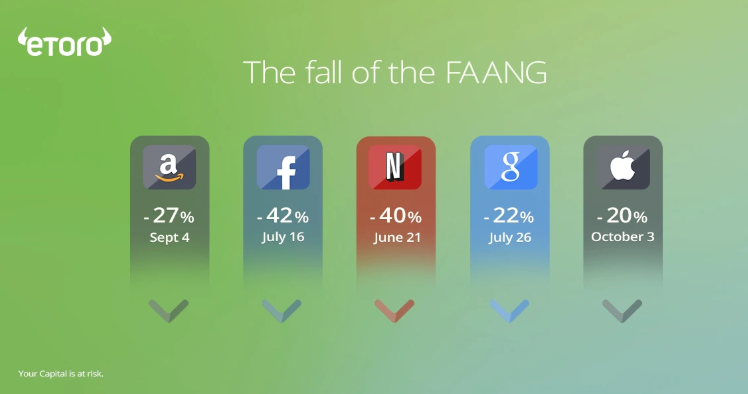 The FAANG stocks have all come down significantly from their all-time highs, with some falling harder than others. Perhaps this is not surprising as many of these companies were previously priced for perfection, but the question now becomes at what point do they bottom out? With the above in mind, and with the recent downturn in crypto prices, I thought it relevant to highlight an old strategy in the market that may now be relevant for investors who are currently sitting on the sidelines and looking to get in.